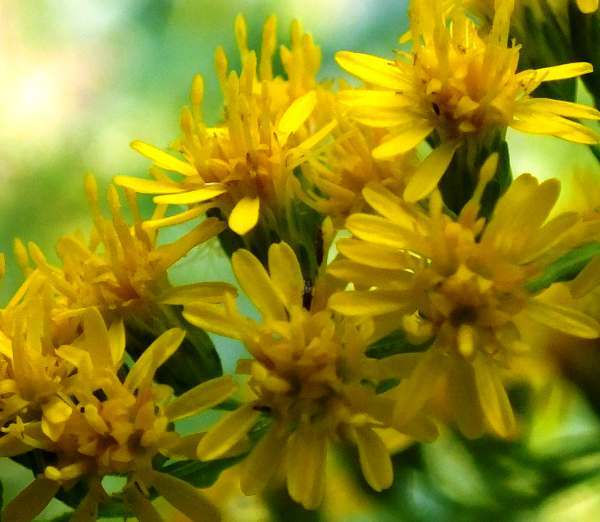 Growing to typically 0.5m and occasionally twice that height, this perennial plant rarely branches. Its serrated leaves, which are alternate up the stem, are sessile (stalkless) except for a basal rosette. The yellow compound fowers are between 10 and 25mm across. 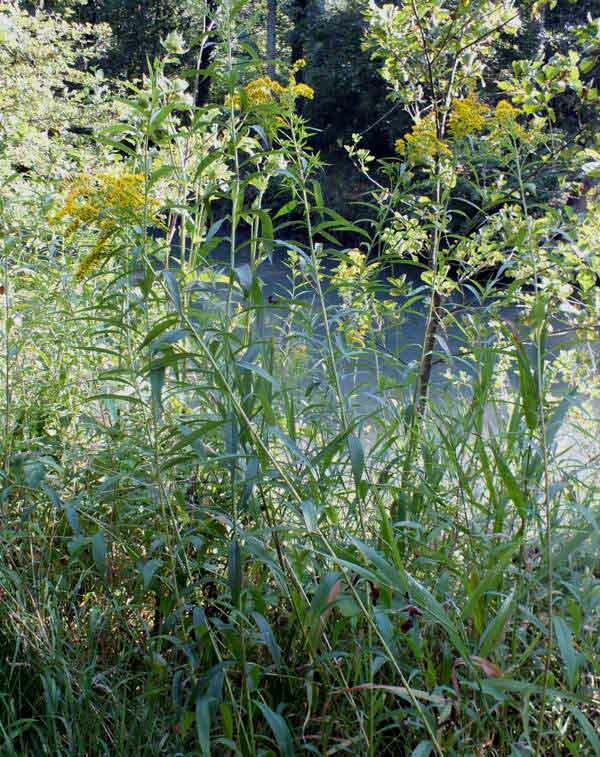 Goldenrod (sometimes written as two words Golden Rod) is common and widespread throughout Britain and Ireland, most particularly in western parts. Its range extends across most of mainland Europe, North Sfrica and much of Asia. This late-flowering member of the daisy family is very common both in lowland and upland regions, especially on woodland edges, in rocky grassland areas and occasionally on clifftops. 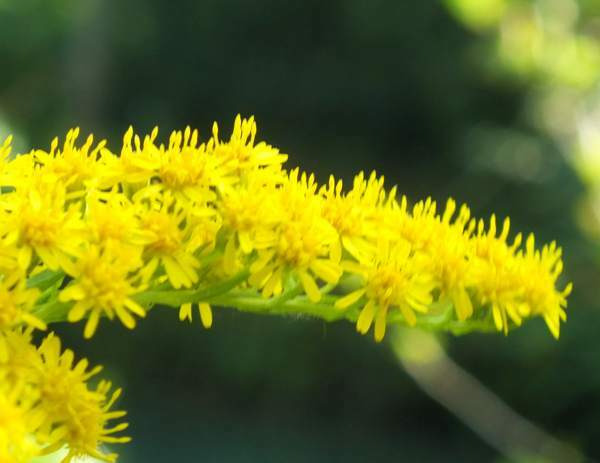 In Britain and Ireland, Goldenrod can be seen in flower from July until September. In the past, this plant was used to treat wounds, and apparently it fell from favour not because it was no long considered efficacious in this respect but because it was discovered to be more common than previously thought - a case of familiarity breeding contempt! We found these specimens in the Teifi Valley near Llandysul in west Wales.